Lanzarote is the easternmost of the Canary Islands. It was also one of Europe's first mainstream holiday destinations. Unfortunately, it is often outshone by it's neighbours Teneriffe and Gran Canaria. 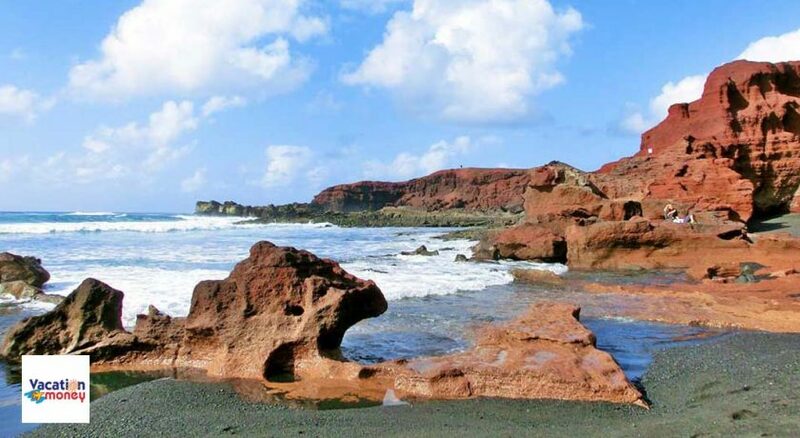 It's beautiful beaches and mars-like landscape is what the island is most known for. But there's plenty of other amazing things people don't know about this country. 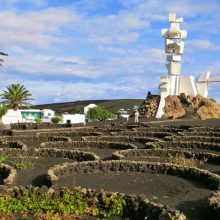 So I've got together 5 interesting facts about Lanzarote. The Timanfaya National Park in Lanzarote. Solidified lava from a volcanic eruption 15 million years ago is what formed the island. The result of this is the magnificent scenery you can see today. The greatest eruptions recorded were between 1730 - 1736. The tragedy managed to wipe out 11 villages and cover 200 square km of land. 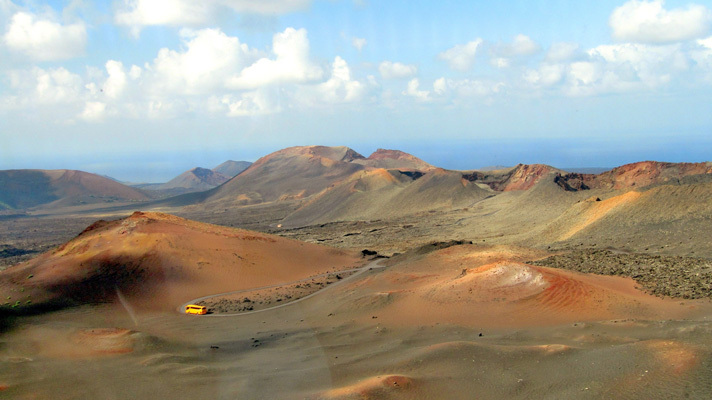 The one active volcano is now in the Timanfaya National Park, named after the volcano itself. Declared by UNESCO, the park is part of a Biospheric Reserve. It is entirely made up of volcanic soil and temperatures reach 600°C just 10 metres below the surface. It's truly a spectacular place to visit. With an average of 4.4 inches of rainfall a year compared to the UK's 33.7, I know where I'd rather live! Lanzarote has a subtropical climate. There's typically 0 days of rain between May and September. 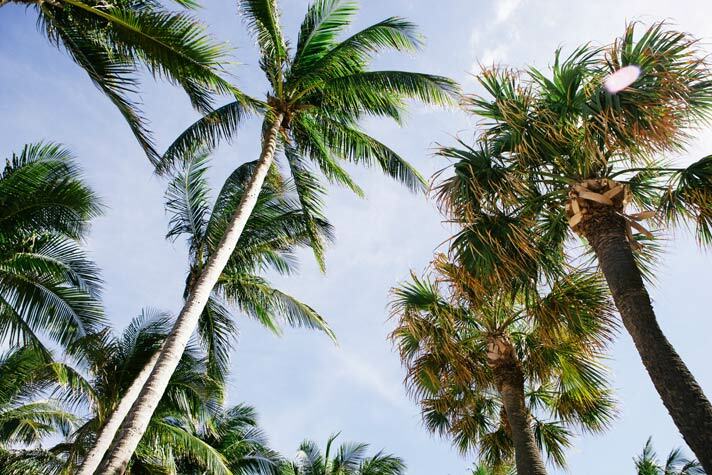 It's the perfect summer destination for adventure seeking families or chilled sunbathers. Generally, temperatures peak between 22°C and 28°C with lowest temperatures reaching a decent 17°C. Apart from birds and reptiles, there are few vertebrate species living on the island. The lack of wildlife is due to the climate and scarcity of water. 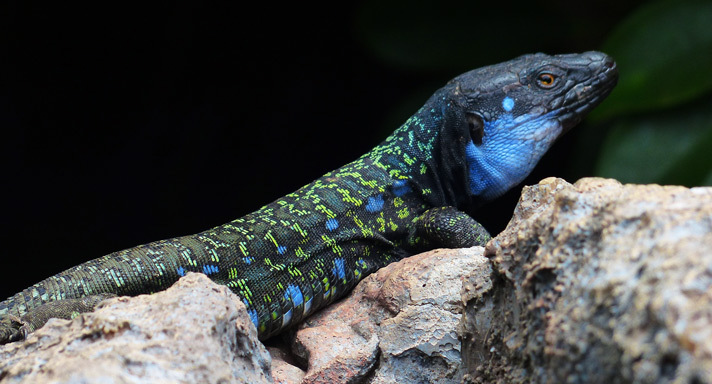 The Gallotia Lizard is native to Lanzarote and it's also home to two surviving populations of the Egyptian Vulture. In 2000, there were only 130 individual birds known across both Lanzarote and Fuerteventura. "Wall Lizards" is the more common name for Gallotia Lizards. Similarly to the animals, over 500 types of plants have adapted to the scarcity of water on the island. Some of these species are grapevines. They're planted in pits on protected land. These pits are 4 metres wide by 3 metres deep. The island often gets harsh winds, so a small stone wall surrounds the vines to protect them. This barrier also helps the vines to harvest dew and rainfall. 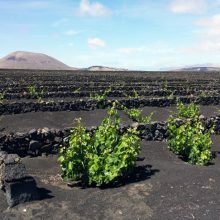 An example of a vineyard in Lanzarote. The stone walls help to protect the plants from winds. The white grape has more flavour than red. This may be why Malmsey is the most popular wine made in the Canary Islands. The island has been host to quite a few films and music videos over the years. British band, The Stone Roses filmed their videos for Fools Gold and I Wanna Be Adored here. Also, 2 episodes of Doctor Who have been partly filmed in Lanzarote. 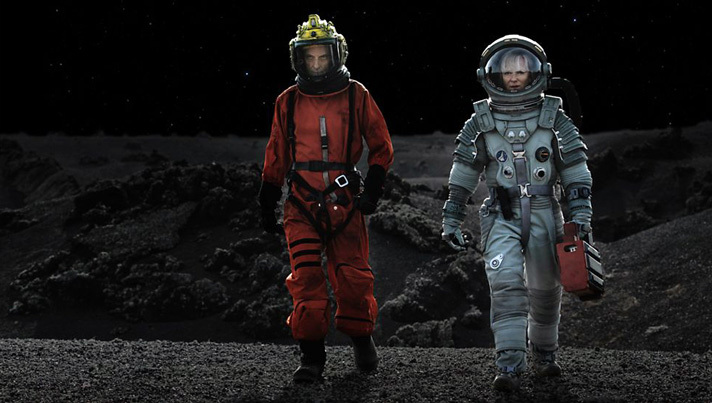 The first was in 1984 and was the episode “Planet of Fire” and again recently in 2014, “Kill the Moon”. The Timanfaya National Park was where the cast shot the scenes. Which is no surprise due to the otherworldly atmosphere. Shot from "Kill The Moon" episode of Doctor Who shot in the Timanfaya National Park. Click to see the original BBC image.